In the history of Saturday night television few programmes have dominated quite like The Generation Game during the 1970s. Even the departure of Bruce Forsyth failed to diminish the show’s popularity and by 1980, ITV seemed to have given up trying to topple the mighty BBC behemoth. Buck Rogers In the 25th Century (an American science-fiction action series) and ATV’s Up For The Cup (a David Hamilton hosted show consisting of “nine matches between professional variety acts picked to ‘play’ on stage for the football supporters clubs at which they perform”) made up the competition. While the former represented a costly acquisition for ITV, it was designed to attract viewers away from the BBC’s own science fiction offering, Doctor Who (scheduled before The Generation Game) and so could only affect Grayson’s show by diminishing the size of its inherited audience. Up For The Cup, on the other hand offered no real threat, drawing on the increasing popularity of variety acts to no real success. 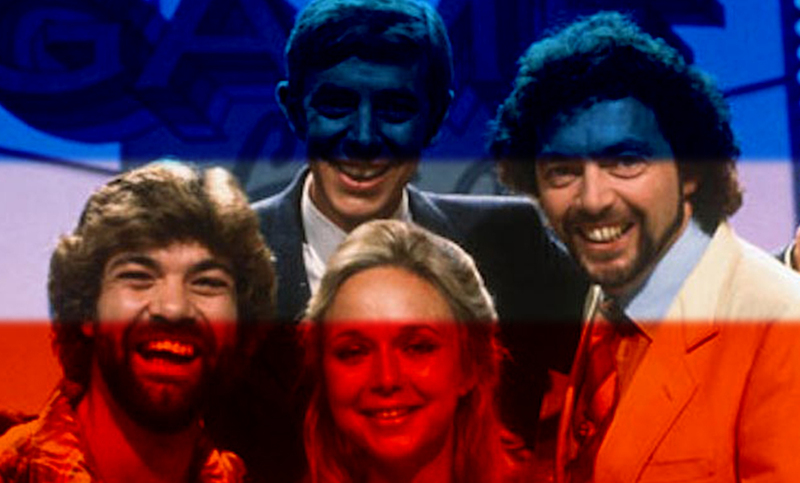 The emergence then at 6.10 pm on 26 September 1981 of Game For A Laugh was a seismic moment in British television. “The funny, the extraordinary, the way out,” gushed that week’s TV Times. “Real people being themselves are the stars of this countryside (sic) look-in on the great British at play. People on their home ground, people in the studio – but always people in unusual, humorous and often crazy situations”. There was little in this first piece to suggest the importance of Game For A Laugh to ITV in the 1980s or to Saturday night television as a whole. When ITV unveiled its autumn 1981 line-up in TV Times, Game For A Laugh was little more than a footnote. Nonetheless, by Christmas it was to have made a major impact. Ironically, it took a BBC man to create this most “ITV” of programmes. Cross channel defections have always been an important part of the light entertainment dog fight. During the 1970s and 1980s the most significant examples of these had all gone in the same direction – with Forsyth, football and even Morecambe and Wise all finding their way to ITV from the BBC. Of course, there were some of those who came to ITV and then turned back. The Two Ronnies are one such example. Another is Val Doonican: “My audience didn’t go with me,” he would recall in 1980. “It was the difference between having an affair and being married. One of them is highly dangerous, but exciting. The other is hard working and ultimately, to me, much more satisfying and gratifying and mature and secure. I would rather be married to the public than have an affair with them. When I went over to ITV we were divorced and had an affair – and then we had a reconciliation, when I came back to the BBC.” But perhaps the key defector of the early 1980s was Alan Boyd. A Scotsman, Boyd’s background was in science, and he brought an analytical mind to the business of constructing game shows. Having been instrumental in the creation of The Generation Game he spent much of 1977 working up a vehicle for the popular radio presenter Terry Wogan. “Blankety Blank is quite bonkers,” declared Radio Times in August 1981. “The basic game is simple enough but with all the accompanying fiddle faddle – from the jangling signature jingle and Terry Wogan’s preposterous microphone to those complications at the end – it’s like some nightmare prank … So why do 14 or 15 million perfectly sensible people … sit mesmerised by it week after week?” Of course the short answer to that is the format had been expertly constructed and the presenter carefully chosen. Based on the US popular daytime series, The Match Game, the show had been altered by Boyd to appeal to the British audience. Yet, Blankety Blank didn’t appeal to critics. Reference work, The Ultimate TV Guide, refers to it as a “banal Saturday evening game show”. Its critically challenged success proved a mixed blessing for the BBC, with its press mauling precipitating the departure of producer Boyd from the corporation. His frustration with the BBC’s continual failure to let him develop new ideas was obvious. Perhaps they felt that further programmes such as Blankety Blank would be the undesirable result, despite its massive appeal. Or perhaps Boyd grew weary of Bill Cotton’s desire to “wring the last drop of ratings benefit out of hard-won success”. “At that point in my career at the BBC it was interesting to read my report card,” says Boyd. “They used to write ‘Alan is too commercial’. Which is a funny thing to have on your yearly card”. LWT was able to entice Boyd to the station with the promise to let the talented producer put his self-declared “Boyd stamp” on its light entertainment output. Boyd joined LWT in August 1980 and by autumn of the following year his first fruits were ready for the picking. The Pyramid Game was described as “one of the fastest games on television, where two teams, comprising a celebrity and a viewer, have fun with words”. It debuted on 5 August as part of ITV’s autumn season and was followed by a brand new series of another LWT-Boyd game show – Punchlines (which itself had debuted on 3 January). 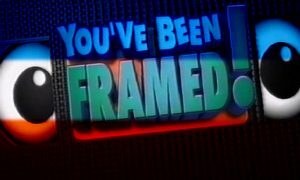 Neither series could be described as an original Boyd idea – The Pyramid Game having grown out of the earlier series, Steve Jones Quiz Hour while Punchlines was based on a failed American pilot. They both however, bore a resemblance to Boyd’s earlier work at the BBC (with The Pyramid Game’s requirement for contestants to guess words based on clues requiring a similar level of intuition between celebrity and contestant as seen on Blankety Blank). 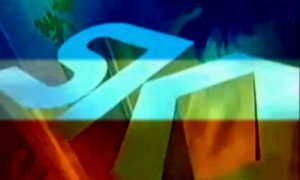 The introduction of these two programmes already represented a significant increase in LWT’s game show output (the station had previously produced only Play Your Cards Right), yet this was just the beginning. The lure of creative freedom had been the bait used to bring Boyd to LWT, but the station recognised in him someone who would be able to deliver the commodity they needed most – a profit. So it was happy to cede to his desire to take game shows to a “new dimension”. For once, innovation came at no cost – in fact Boyd’s ideas were economical. Analysis carried out by LWT at the time indicated that cheap US imports (for so long a major part of ITV’s weekend schedule) no longer attracted sufficient audiences. With the British economy heading once again into one of its periodic recessions (always seeming to coincide with the IBA’s franchise awards) belt tightening was the order of the day. Programmes like Punchlines (which could be made with the minimum of production staff) represented a pragmatic approach that was soon to become central to LWT’s programme making philosophy. “We resolved a strategy of maximising the number of popular entertainment shows in the schedule,” recalls John Birt, programme controller at LWT in the early 1980s. “So I was cutting back on production in general but increasing the volumes of shows which could give high rating delivery”. The other thing that LWT wanted Boyd to bring them was celebrity. “ITV had their fingers crossed that Boyd would bring either Cilla Black or Terry Wogan over from the BBC,” recalls Jeremy Beadle. In particular, the Irish man had proved himself remarkably adept at handling a light entertainment vehicle and was the perfect choice to front Boyd and Beadle’s Game For A Laugh. However, Wogan refused, believing that his “prospects were better at the BBC”. And so Wogan’s reticence led to Henry Kelly ending up on Game For A Laugh. An Irish war correspondent was a strange choice to front a frothy, silly game show, however Beadle and Boyd felt him to be both “charming and funny”. History has tended to judge Kelly’s performance on the show rather unkindly (with various spoofs of Game For A Laugh showing him to be wooden and conservative), yet Kelly’s conventional persona allowed him to be the perfect foil for a number of running jokes inflicted upon him by his co-presenters. Matthew Kelly (then best known as a comic actor in programmes such as Holding The Fort) and Sarah Kennedy (a regional television reporter) were roped in to join Henry, although it soon became clear that one of the programme’s most important elements – practical jokes – required a different kind of personality altogether. Henry Kelly’s strait-laced demeanour, Kennedy’s school matronly charm and Matthew Kelly’s puppy dog deportment made for a welcome dynamic, but it required someone who the public could accept as mischievous, but also likeable, to spring the show’s all important surprises on unsuspecting members of the public. Beadle (described by TV Times as an “inveterate practical joker”) seemed to Boyd to be the logical choice, and was duly offered the job of fourth presenter on the show. By all accounts the four presenters developed a positive working relationship straight away and there was an air of contentment about the production. “I love doing this programme,” Kennedy commented in November 1981. “It’s a lovely nosey way to find out what people have interesting jobs – like the girl human cannonball I interviewed – or interesting hobbies. People write in and we are constantly scouring the country for eccentrics”. Game For A Laugh was the big break for Sarah Kennedy, as she’d best been known for working on Radio 2’s recently axed Family Favourites. It’s interesting how this BBC English speaking, rather upper crust presenter flitted between the very ITV Game For A Laugh, where she seemed to really enjoy herself, and BBC current affairs, when she joined the ill fated 60 Minutes in 1983, and then landed an LWT game show based on celebrity school reunions. Also Game For A Laugh proved ITV could finally hit back at the BBC on Saturdays and produce a very popular piece of LE whose success could fund new hit shows. Meanwhile BBC1, under the useless Alan Hart, started to fall behind: Doctor Who was inexplicably moved to weekends, robbing the Saturday night schedule of a popular starting point, Mike Yarwood and Parkinson were tempted over to ITV, causing more damage to BBC1, and so so dramas like One By One started to become the focal point of BBC Saturday nights. Doctor Who seemed to be moved to weekdays because it was being beaten in the ratings by Buck Rogers In The 25th Century, which ITV were networking at the same time. Before then most ITV companies were showing a mixture of non-networked shows which gave Dr Who not much trouble.